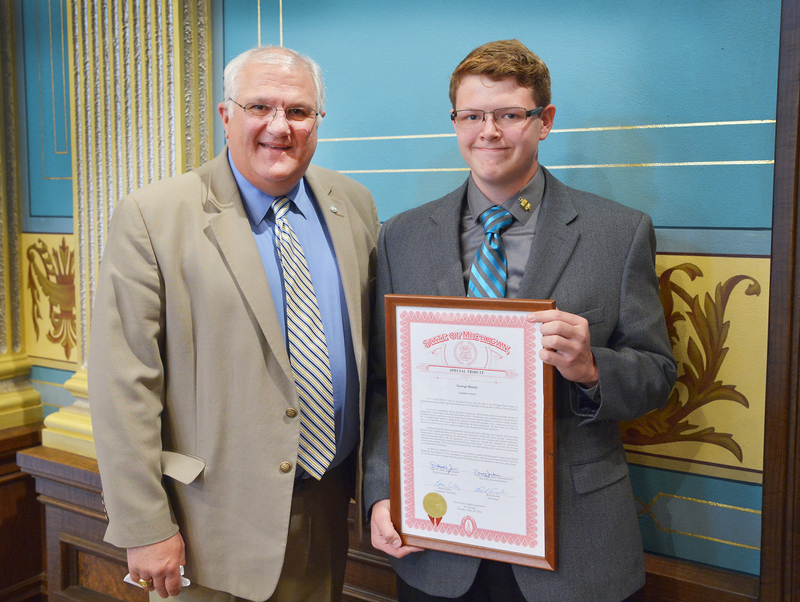 LANSING, Mich. — Sen. Dale Zorn recently presented a special tribute to George Bundy of Adrian in recognition of his successful completion of his legislative internship in Zorn’s Senate office. Bundy attends the Jackson College/Lenawee County ISD Academy, a middle college program that allows Lenawee County students to graduate from high school with a diploma and up to 60 college credits. The tribute was signed by Zorn; Gov. 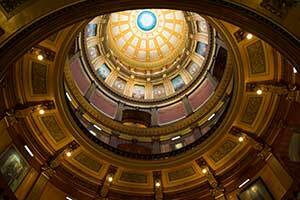 Rick Snyder; Lt. Gov. Brian Calley; and Rep. Nancy Jenkins, R-Clayton.